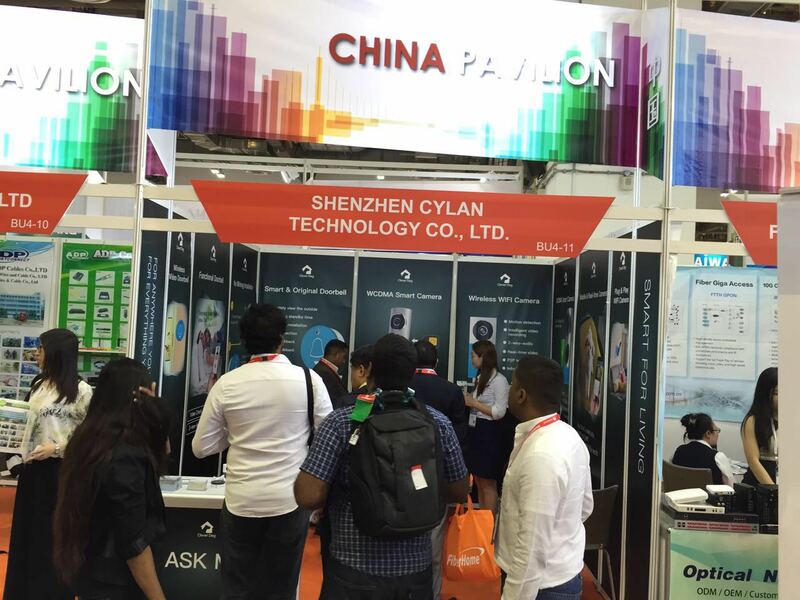 CommunicAisa2016-The 27th International Communications and Information Technology Exhibition&Conference, the most representative event in information and communications industry of Asia, opened on May 31th in Singapore. That was a great platform for all visitors and exhibitors to communicate and display their latest products or innovative solutions. As the leader in Smart Home industry in domestic, Clever Dog caused full attention on the topic of home security and home care with Smart Camera and Smart Doorbell. The other side, Computex Taipei2016 also opened at the same time in Taipei. New products and new technologies completely presented a totally new approaching trend. Viewed from the scene of exhibition, the overall number of visitors obviously beyond the past. On the basis of mobile IoT, Clever Dog Smart Home focus on the R&D of Smart Home products which can connect WiFi to realize remotely video talk. P2P transmission technology can optimize AV transmitting speed and provide better protection for user information. Nowadays, Clever Dog products have been spread all over the world, no matter online or offline. Insisting the principle of “User’s value first” makes Clever Dog be well known and recognized by users. In the future, Clever Dog will keep improving and innovation for global customers.